I had nothing to be angry about today, and I still found myself getting riled up listening to the lead singer of the group scratch and scream through its catchy chorus. One complaint about angry punk rock I’ve always had is that it’s not melodic enough for me to want to sing along to, but “She Said” succeeds in this aspect. First things first, the instrumentation on this track is solid. Every section drives the song forward. Backed by fuel-powered drums and a tight combo of guitar and bass, the song manages to keep a great balance throughout its run time. Just when its volume and speed gets to sounding heavy, the bridge comes around to ease us along into the finale. Not to leave out the edgy, emo vocals that sound with such remarkable pitch accuracy and energy. Grunge is unpolished and imperfect, but that doesn’t mean it should be lazy or unenergized. The Jins’ instrumental work on “She Said” shows how to achieve the too-cool-to-really-care vibe while actually really caring about how they sound. The result? They sound pretty darn good. And then there are those lyrics. Ambiguous, yes, but also spooky and dark and edgy and totally in line with what a throwback rock song ought to be projecting. Angst music is about giving in to those dark thoughts you might not say in any form but a song. The lyrics here give in to a feeling of confusion and carelessness and worthlessness; we don’t like to admit it, but most of us have been there. That kind of couldn’t-care-less attitude is at the core of the whole song. When juxtaposed with how much this relationship with “she” clearly meant to the tune’s main character, the real story pops out. When a good thing goes bad or ends, it can be difficult to feel good again–or even to want to feel good. The choruses of “She Said” bring forth the melodrama of the latter. After losing what matters most, “whatever hole’s in the ground” will do just fine. The finishing touch to the song? The video. A creative and charming concept, simple but well-executed, that helps tell the story. An overworked janitor calls The Jins’ hotline and is greeted by the riotous outburst of music telling him nothing matters. It’s a clever way to highlight the community people find in being miserable, a feeling closely linked to the message of the song in that it’s the point of punk and grunge rock. These angry songs don’t take themselves too seriously. But they do find ways to relate to emotions people hate having and bring rock music fans together in the process. “She Said” is another example of the therapeutic nature of rock music. If you unironically play “Wonderwall” by Oasis on guitar at a party, you deserve no respect. Nickelback may not actually be that bad, but you’re never allowed to say that. Ever. Hating Coldplay is the easiest way to display your dominance in a room. With regard to number 3, this rule is understandable. I poked fun at my friends who went through a Fall Out Boy phase (for which I apologize; everyone deserves their emo phase), and to be totally honest, Coldplay is the ultimate emo band. They dress casually enough to blend in with any suburban family but wail melodramatic lyrics like “I’m dead on the surface, but I’m screaming underneath” (and that was before everyone hated them). They’re the musical embodiment of smiling through the pain. Us fans deserve your scrutiny for our perpetual whiny sorrows. Once they struck massive success with single “Viva La Vida” (which just admit it, you like, too), it was over. Coldplay became a band for the weepy. But repeat after me: I am weepy, and I am proud! Pop music that packs an emotional punch is necessary for the soul sometimes. Or maybe I’m just a fangirl. Allow me to set the scene: Miami, 2012. Coldplay was touring their album Mylo Xyloto, a colorful record that marked the end of an era for the more traditional Coldplay sound. They didn’t sell the front row seats of the arena so that they could randomly promote fans to upgrade (giving their old seats to volunteers). It was what many described as the most awesome night of their lives. I know because I was one of those fans. For my first ever concert at 14, seeing one of the biggest bands in the world from the front row was an experience that forever ruined concertgoing for me—what show could possibly compete? It secured my love for Coldplay as the leaders of a community, always respecting and admiring their fans and performing audience-driven shows. But I was devoted to Coldplay long before that, and several hit-and-miss albums later, am still in the game. TBH, Coldplay critics may be right. At their most innovative, Coldplay released a debut album with melodic dexterity and an understated presence. They were cool. We must also acknowledge the storytelling behind concept album Viva La Vida or Death and All His Friends. That was visionary thinking. But even Coldplay admits to X&Y’s disjointedness, and as a die-hard fan, I’ll agree that many of their feel-good hits are cheesy, to say the least. They’ll never reshape popular music like The Beatles or be masters of genre-melding like Queen. They’re not rock icons like Eagles or iconic in image like Kiss. But they put on a fun show and make music that large groups of people all across the globe find meaning in. We can’t overlook that. The band knows what they’re good at—catchy, lyrical-driven alt-rock—and never totally breaks from the conventions of a genre. They do, however, travel from genre to genre. Exploration requires risk-taking, a tactic as impressive to me as innovation. If you want moody acoustic music, check out Parachutes. For cinematic soundscapes, go to Viva La Vida or Death and All of His Friends. 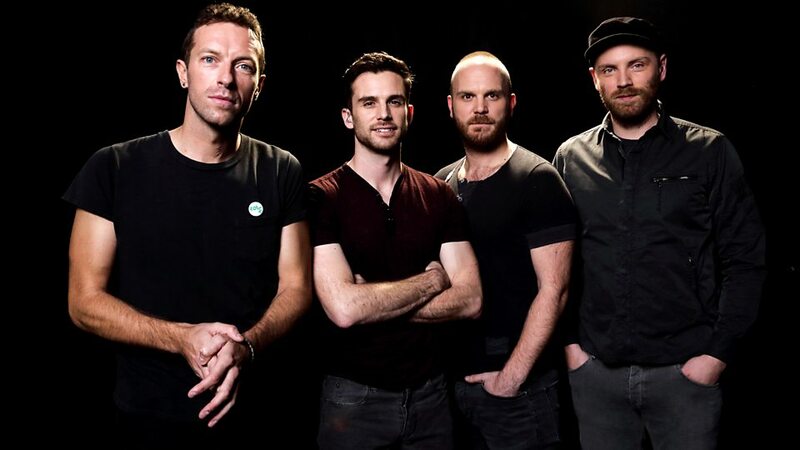 Alternative rock encompasses a vast landscape of styles, and few bands show the agility that Coldplay does to manoeuvre from one to the next. Just because each album maintains the recognizable Coldplay sound doesn’t mean they’re not inventive (listen to “Sparks” vs. “Up and Up.” Nothing alike.) They play to their strengths. Arguably, the greatest strength Coldplay has is Chris Martin’s energy. If you’ve seen their documentary, A Head Full of Dreams, you know what I’m talking about. His prophetic visions about the band when they were just in college gave me chills, and the rest of the guys admit that he’s the force behind their adventures, what’s gotten them this far for so long. Chris’s energy takes center stage, be it through jumping up and down while somehow staying right on pitch or thrusting himself towards the piano in sync to Will Champion’s beat. Chris Martin’s performance is an uncontrollable explosion. But an area overlooked, my favorite strength of Coldplay, is his vocal control. Gifted with a stunningly wide vocal range, tracks like “Moving to Mars” show off a lower range so deep and reverberant it’s almost unintelligible—as if Earth is shaking through your headphones—while tracks like “Up in Flames” spotlight a softer higher register. Most impressive is Martin’s ability to shift between the two seamlessly. Leaving A Head Full of Dreams aside, most every Coldplay album plays to this strength. Effects are rarely placed over his voice, letting the imperfections and shakiness of his transitions come forth. This vulnerability makes Coldplay music accessible and I think is one of the subconscious reasons so many people like them. 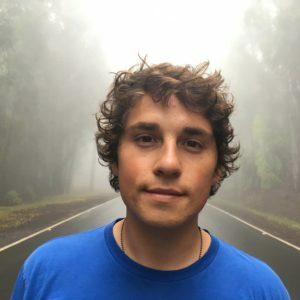 His voice is unpolished (let’s overlook Ghost Stories and AHFOD again) like an actual human’s. Never does he completely butcher a note or mess up his technique, but he lets us hear his struggle to belt extensively and the slight inconsistencies in his lower vibrato. cut to my all-time favorite song, “The Scientist.” As a kid, I tried to play this song on piano for years and always wondered why it never sounded quite like Chris Martin, figuring that it must be the sad truth that I am, in fact, not Chris Martin. But no. Chris wrote the song on an out of tune piano, recorded it, and that’s the version that appears on the track. The band chose to stick with an authentic and imperfect piano instead of re-recording in tune. The difference is slight, but it makes the song sound like it’s playing for you in real time. Think about how the song’s main lyric is “take me back to the start,” accompanied by a piano de-tuned from the passage of time. Thematic and subtle, you can find plenty of little quirks and zingers in Coldplay’s earlier work. As for their later stuff? It’s reflective of where the bandmates are as people. Ghost Stories was a shockingly raw look into Chris Martin’s public divorce (its heavily electronic sound may have been distracting, but it served as a literal distraction for the band going through a rough time). A Head Full f Dreams let us know that he’s okay. For a band that keeps its social media presence slight, the music tells us more about their lives than anything else. They never hold back. Chris has the benefit of one of the tightest ensembles in pop music playing with him. Johnny Buckland can play a poppy riff that gets stuck in your head for days (“Strawberry Swing”). Guy Berryman ground the group with his attention to detail and attitude on bass. You have to see Will Champion play drums and church bells live on “Viva La Vida.” The four bandmates met in college and to this day still have the energy of a couple of kids who like playing together. Pure and vivid, their brotherhood makes fans wish they could be part of the band and protects them from critics who want nothing more than to see them torn apart. They play music they love with people they love for fans who love them. It’s simple. It should be. 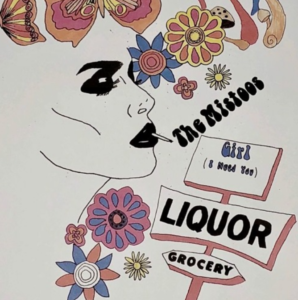 Tagged as psychedelic, RnB, Italian, electronic, alt-rock, The Mistoos’s “Girl (I Need You)” deserves a category of its own. At most, I might expect to see three of the aforementioned genres blended together on an experimental track. But “Girl (I Need You)” goes beyond what’s expected of the contemporary alt-rock band. The 60s-esque song is authentically retro enough to have been released during the peak of psychedelic music. Like its colorful, flower-child inspired artwork, the tune layers together bright instruments that, if not for the welcomed intermission of brief vocal sections, might be sensory-overload. Fortunately, The Mistoos balanced the track and created a song so lost in time and space I’m not sure two could ever agree just how to categorize it. Most notable on the track are the flavorful piano rolls and rhythmic use of the instrument. The technique largely gives the tracks its vintage Italian sound. Picture a red 1960s Fiat 500 driving along the roads of Napoli. “Girl (I Need You)” goes there. The fun, distinct sound isn’t something often sampled or featured in modern rock and offers a clever twist on alternative rock. Showcasing the cultured approach to songwriting, the piano drives the track throughout its entire 3 minutes 27-second runtime. This is an unconventional approach to piano rock relying on the familiarity and almost stereotypical nature of the Italian sound to form something mysterious and edgy. Somehow both new and old, traditional and alternative. But the sensual, funky guitar that riffs alongside the keys supplies the groove. The fluid solos contrast against the staccato piano and stick out to the ear bringing the song to life through tribute to the era of psychedelics. Paired with vocal harmonies that beckon your ears back to rockers of the 60s, the aural aesthetic of the song is an accomplishment. Lyrically, “Girl (I Need You)” is sparse, one of its strengths. The short stanzas fall in line with the tradition of many folk/psychedelic/rock songs of the retro era. The song instead opts for focus on musicality–the fun doo-wop-y harmonies add a nice touch. Still, sprinkled throughout are biting lines of reference to the all-too-familiar feeling of falling so strongly for someone. Split between two clever A and B sections, the song speaks of a magnetic romance that’s as back-and-forth as the transitions from A to B. The classic rocker’s conundrum–if you fall in love, you’re going to fall too hard. This song is clever. Different. Interesting. Alternative rock doesn’t have a standard sound, but this track still sounds surprising even with no set expectations for what the genre should be. I listened to it several times, and each time I came up with a new band I could hear elements of in it, from The Beach Boys to The Doors. The track is a love letter, a time capsule, and an invention. Folk music can get a bit of a bad reputation for being a little too, well, folksy. Many people I talk to about folk get the impression that it’s all a bunch of acoustic guitars jamming over each other or that it’s the brother to the polaraizing country music. This is a stereotype, of course, but I can see where they’re coming from. A lot of folk can be one-note. But especially in recent years, we’ve seen folk grow to encompass more sounds than ever. What sticks out to me the most about “Eve” is the clever and subtle way Hudgens’ lets each of the many instruments he plays have their moment. His piano punctuates lyrics throughout the verses and choruses guiding your emotions. It’s never in competition with the steady acoustic guitar which carries the song forward–its backbone. He’s chosen moments to allow sprinkles of other sounds, synths, and instruments that come together like a painting. Each layer adds a certain color to the track. You get the sense that nothing is arbitrary. That carries over into the tune’s sensitive lyrics. “Eve” talks about finding hope and possibility amidst the fog of uncertainty and hardship. Difficult times are always around. But with your eyes opened wide enough, you’ll always find something or someone that can help keep you going. Whether that be faith, passion, or love–perhaps all three–there’s beauty to be discovered. “Eve” is poetic in nature. It’s full of pretty one-liners, philosophies the artist may personally abide by. Guided by experience, “Eve” seems to be a summarization of a tough period someone’s gone through and the things that got them through it. Hudgens’ words are both and vague and personal. Without telling us upfront what happened, he tells us the best part of the story–the resolution. While some might like to hear more about the hardships themselves (those details are what tends to make a song most relatable), I enjoy the hopeful and happy tone the song takes. When you’ve made it through to the other side, those details don’t seem nearly as important as they once did. The song is a reminder of perseverance and of better times to come. Hudgens’ soft raspy voice carries the wisdom of time. The beautifully breathy but controlled vocals add an element of ease to the track. While he sings of deep topics not easy to come to terms with, he sings with an easiness that makes the troublesome times just float on by. It’s the tracks most distinct feature. Not often do you get whispery folk music with so much power and pitch accuracy behind it. Hudgens’ soothing harmonies layer throughout the song like waves crashing. They buoy in and out of the forefront, a peaceful way to emphasize his most poignant lyrics. “Eve” is an easy-listening track seasoned with moments of inspiration. Between Hudgens’ seamless musical transitions and legato vocals, the track can calm even the uneasiest of nerves. But that doesn’t make it a strictly-background-music song. There are vulnerabilities and observations to be heard. It’s inspirational and hopeful but never too preachy. Hudgens has maintained a definite personality and intrigues his listeners. I’d be interested to hear more. If you’re looking for something free and soothing, try listening to “Eve” on Soundcloud. Singer-songwriter music is probably the most palatable, most relatable genre there is. Not because it’s not exciting or innovative or fun–it is–but because when one person tells their story, we can all find parts of ourselves in it. 2018 brought some great albums from singer-songwriters across the globe. Not to mention, the genre has clearly expanded beyond the folksy-guitar-centric sound we’re accustomed to thinking of when we think singer-songwriter. Skewing towards pop, rock, blues, Swedish synth pop (we’ll get there), 2018’s albums reinvented what it means to be a singer-songwriter. 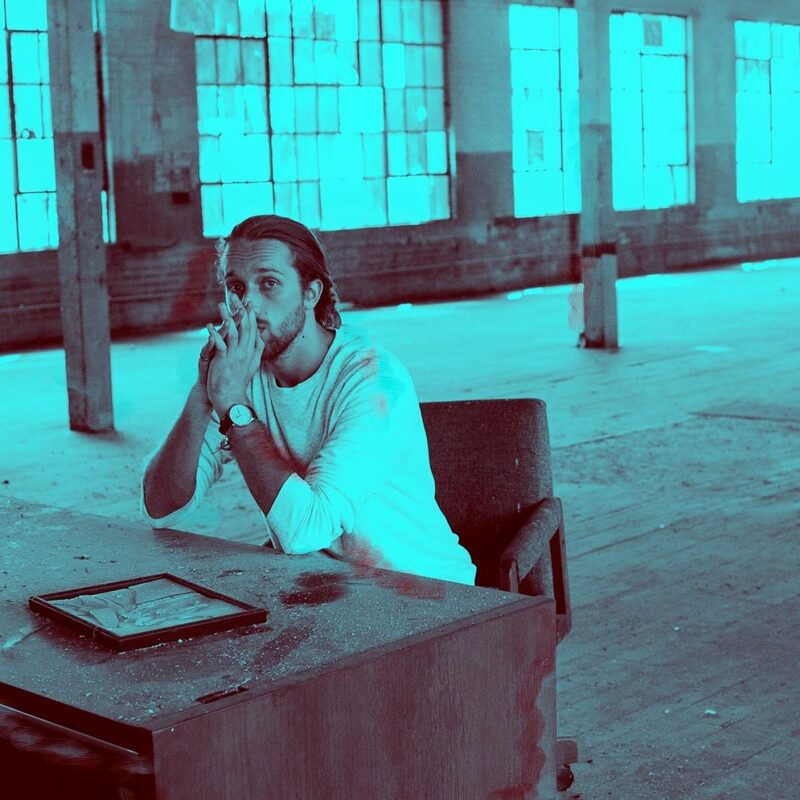 Since his debut album Wanted On Voyage was released in 2014, fans and critics alike have been eagerly awaiting his sophomore work (at least, I know have). We were not disappointed! George Ezra included poppy hits like “Shotgun” and “Paradise” alongside more moody, folksy hits like “Hold My Girl.” The English singer-songwriter is well on his way to becoming one of the greats. Check it out if you want folk-pop from one of the best and most surprising voices in modern music. I interviewed Mikaela earlier this year and was immediately struck by her talent. She released an album full of melodic, creative pop tunes that you wouldn’t expect from a classically trained harpist. Her musical expertise shows through in how unique each song sounds. She’s already opened for some of the best names in music. For something both unrefined and musically dexterous, give this album a listen. Brandi Carlile struck gold with her 2007 hit “The Story,” and has been releasing thoughtful, beautiful music all the while. Her 2018 album is nominated for six Grammy awards! That makes her the most-nominated woman of the 2019 Grammy season. If that alone doesn’t make you want to check out her album, I don’t know what will. With a sweet but powerful voice full of stories and melodies that shake you, Carlile’s work on her 2018 album is some of her best yet. 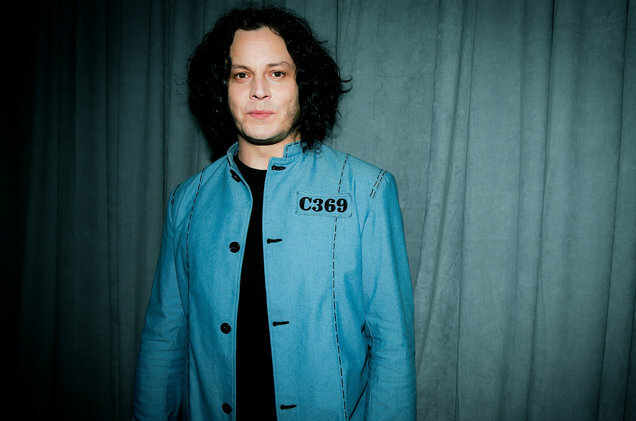 Okay, Jack White is regarded as more of a rocker than a singer-songwriter because of his early work with The White Stripes (and several other rock bands), but his solo work is my favorite. Jack White’s voice is so distinct. No one else could properly sing his equally-as-special lyrics. And few know how to play guitar or orchestrate a live performance as well as he does. His sharp sense of humor and quiet but playful attitude shine through in certain moments on the powerful and deep record. It’s a must for rock fans looking for something new. Robyn is a Swedish pop star best known for hits like “Call Your Girlfriend” and “Dancing On My Own.” Her euro-synth-pop is as good to play on the dancefloor as it is to cry to in your room (trust me on this one). Her music is fun and upbeat, but it’s also emotive. She has a way of making painful memories or regrets something to dance away. What’s most interesting about her electronic-pop tunes is their musicality, which is evident with her track “Dancing On My Own.” The beautiful ballad cover by Callum Scott took over the charts. Because inside all of her electronic hits lies a striking melody and a singer with remarkable control and skill. This has never been more clear than on 2018’s Honey. Katie Kuffel added bluesy, jazzy twists to folk music on this album. I reviewed the beautiful title track earlier this year if you want a closer look into the vocal expertise and passion that Kuffel brings to her work. The album is laid-back but soulful. With some of the most powerful and controlled runs and belts that contrast breathy moments of vulnerability, Take It Up is a meaningful album full of songs you’ll put on repeat for hours as you discover thoughts about yourself, too. Father John Misty’s lyrical folk hits can be a lot. His music takes itself seriously in a way you have to be open to. But if you are, Father John Misty has consistently delivered some of the most distinctive storytelling and poetry in folk music in quite some time. Full of the musings and moments of clarity we’ve come to expect from the artist, this 2018 album doesn’t disappoint. For classic singer-songwriter music with a thoughtful and well-written twist, give God’s Favorite Customer a try. Emily Kinney’s familiarity (from her work as an actress on The Walking Dead) only makes her work on this album that much more enjoyable. Her voice is sweet and clear, and her songwriting is just that. Something enjoyable and traditional. With plenty of pop influence, this album is easy to listen to and one you’ll go back to. We interviewed Emily about the track “Mermaid Song,” so if you find yourself as enchanted by her music as we were, we’ve got you covered! Who doesn’t love “Suddenly I See” or “Black Horse and the Cherry Tree,” two of KT Tunstall’s greatest hits? Her newest album delivers even more soulful, rock and blues inspired tracks. KT’s timeless voice is raspy, free-flowing. It spills from track to track with ease and desire. She adds in elements of pop, blues, and classic folk to make one of her finest albums. One of country music’s favorite young voices, Kacey Musgraves, makes relatable music that updates the genre into this decade’s pop-obsessed sphere. Her country accent and vocal ability bring the nostalgic and familiar feeling of country music, but her pop beats and modern lyrics make this album a must-try even for those who swear they hate country music. Country-pop is one of those genres that easily skew too far in one direction and be exclusionary, but Musgraves has found a balance for everyone to enjoy. Although it’s technically an EP and only three songs, I couldn’t let you leave without knowing about Margaret Glaspy’s latest release. She has one of my favorite voices in new music. It’s raspy and strange and totally amazing. No one else sounds like her, and that makes her lyrics more noteworthy. She’s also a skilled guitarist who plays her songs with devotion and innovation. If you’re not familiar with her work, go listen to all of it. With a simple bass-line that pushes across the entire song like a wave in the ocean, Kevin Herig’s “Matchbox” is a hypnotizing rhythmic spell. The easy-going alternative song tells of a love gone away. Someone who’s been lost, but never wanted to be found. But it also tells of acceptance. The bouncy, repetitive rhythm and melody that make up almost the entire track sound contemplative and resolved. It’s a song written by somebody who has clearly looked back on a situation for some time now—someone who has reached their conclusion. It’s that retrospective point of view that makes the song not just musically enjoyable, but full of thought-provoking moments of lyricism. Personally, I’ve had enough of those bluesy, whiny I-wish-you-still-loved-me folk tunes. There’s no perspective in that. What “Matchbox” brings to the table is thought-out meditation. It’s interesting to hear someone analyze their life and make decisions about it. Whether you relate to his story or not, Kevin Herig wrote an honest ode to a rocky relationship that owns up to one’s mistakes without criticizing or misunderstanding another. For a relatively new artist, who’s first album debuted in 2013, Herig is open with his audience. It shows how personal songwriting is to him. The song has an almost therapeutic quality to it. Hidden within the song’s story are examples of quaint figurative language. With lyrics that flow freely and a melody that quickly becomes mesmerizing, it’s easy to miss some of the tune’s finest, most definitive moments. Nonetheless, the track pulls you in again and again. After just one listen, there’s no way you didn’t get lost in the laid-back instrumentals at one point or another. Albeit, the lack of melodic variation can get in the way of hearing the story’s movement and progression, it also makes the heavy subject a little more digestible. These are the passing thoughts that can only come after the worst is over. The repetition creates a safe space for reflection to boil in up until it simmers out during the song’s hum-along finale. There’s no musical risk-taking, but there doesn’t need to be. The lines are played skillfully and purposefully, which for the song’s purpose, is more than sufficient. 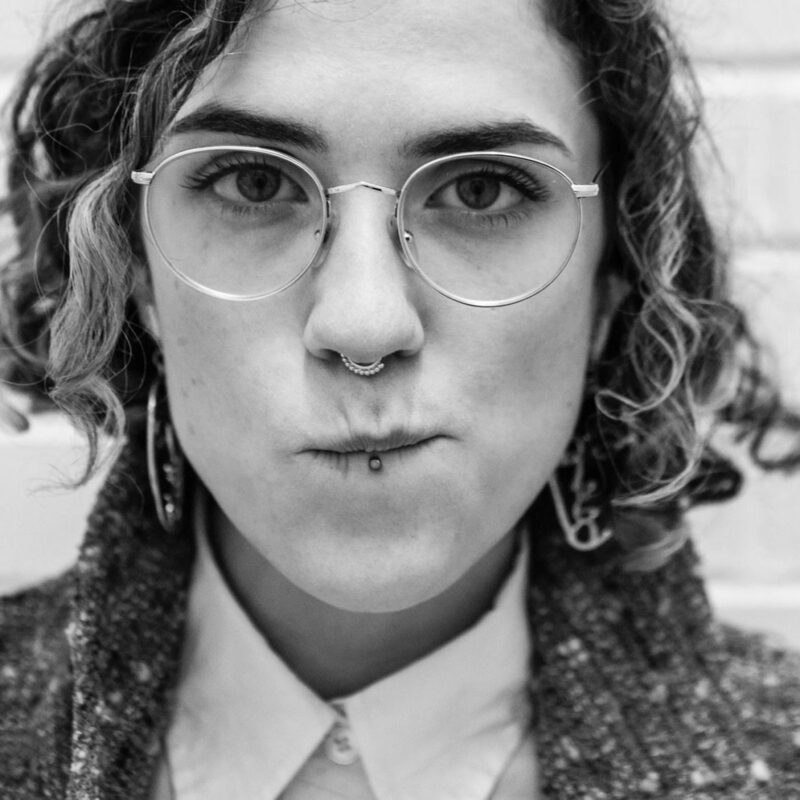 “Matchbox” takes a complex subject and spins it into stripped-down stanzas that make sense of the heart’s painful emotions. While still being something you could bop your head along to, it finds space to breathe in between moments of heartbreak. Reading someone else’s journal has to be the most intimate point of view you can get of another person–the closest you’ll ever be to walking in their shoes. Almost as if he’s opened up his father’s diary, City of Union’s “Hand & Feet” shows us what it’s like be the man who inspired his new song. Matthew Campbell, the musician behind the moniker, took on the challenge of becoming someone else. A fascinating songwriting choice, one that undoubtedly leaves both the artist and his listeners feeling tender-hearted, Campbell’s track delicately transforms simple life for two brothers into a moving song. It leaves space to breathe, space to think about not just the memories of the relationship it details, but the memories we wish to keep alive. The relationships we think of as extensions of ourselves. The song is folksy, moody, and easy-listening, evoking the presence of a region bustling with life but often overlooked–the American midwest. But that’s not all the up-and-coming Australia-based musician has up his sleeve. 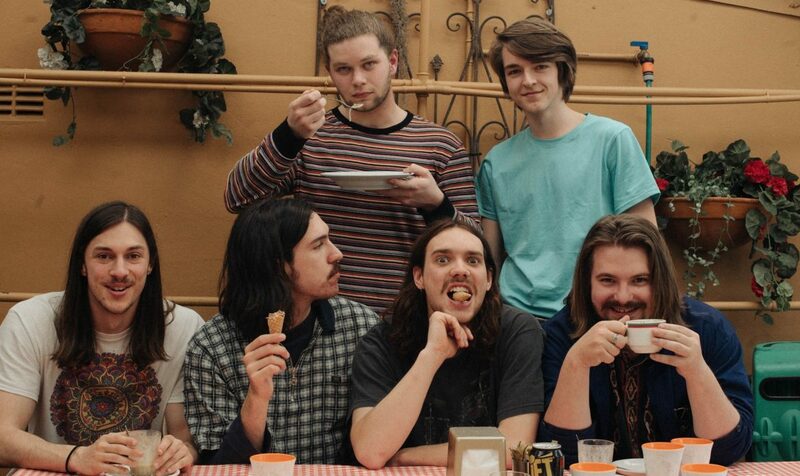 From moving around the world to experimenting with different genres, City of Union has lived a life full of song-worthy experiences in just twenty-something years. Read on to find out what inspired “Hands & Feet” and how City of Union approaches songwriting. When you’re writing a song, which comes first: lyrics or melody? When I’m writing a song I tend to do lyrics and melody separately and then piece them together based on the feel. For example, I have a library of potential songs and melodies saved on my computer and voice memos. I also have a library of lyrical content saved on my computer and notes. I let them keep building up until I am really struck by an idea – often a melody that reminds of some lyrics I wrote and then I start to piece them together into a full song. Do you think of one as more important than the other? Lyrics and melody must be equally strong and complement each other – neglecting one of them is how you make bad songs. Which – I’ve done plenty of times. My songwriting process is quite ordinary and simple. I would love to tell you about some complex method of dimming the lights, taking off my shirt, and breathing heavily until magic happens, but unfortunately, it’s not quite like that for me. I write a lot and think a lot every day while I do normal things – like at work, or doing the dishes, or bathing. When I find a nice melody or lyrics I sit down with my guitar or piano and flesh it out. Knowing when a song is finished is the hardest part of the job. Luckily I have good people around me who can tell me they think it’s done. You choose to write and perform under a stage name. How does this affect your songwriting? For instance, do you find it enables you to be more vulnerable, or that it creates a safe distance from you as a person to you as an artist? Is it just stylistic? That’s a really good question. Hmm… I’m not sure – I reckon it hasn’t made much of an impact on my songwriting. “Hands & Feet” tells the beautiful story of a man’s fond memories of a pure and meaningful relationship with his brother. What inspired you to write and release this song now? Hands & Feet is the story of my Uncle Keith as told from my father’s perspective. I’ve had the song finished for several years now – and I just decided it was time to release it with some beautiful footage my sister shot of my hometown. 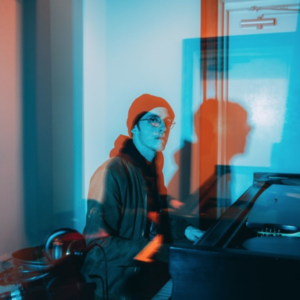 “Hands & Feet” takes on a more traditional, indie-acoustic sound, but you’ve been influenced by genres far and wide like hip-hop and rock, too. Who were some of the influences behind this track and style? Hands & Feet is stripped back and more ‘folky’ than my other songs because I imagine that my Uncle would have enjoyed it that way. When people think of the Midwest, it’s often met with this idea of nothingness or boredom. But your song managed to capture the simplicity of the region in a way that’s reflective and moving. How do you think growing up in Missouri has affected your songwriting, especially on this song? I find that often the best ideas come from moments of boredom. Not that the Midwest is particularly more boring than anywhere else, but I always had a healthy space to keep a clear mind. Missouri is inspiring to me because it’s home – not necessarily because it’s Missouri. And how has moving across the world to New Zealand and Australia changed your writing style? Do you think location affects sound? Moving away has changed my writing style, my opinions, my clothing choices, my diet, my state of mind, etc… very very much. Some in good ways – some perhaps not so good. But I’ve grown smarter as a songwriter – and I’m getting better. What’s next for City of Union? Perhaps another big move across the world. Like maybe… Egypt? The use of flawlessly warm horns against the mention of lonely, peeling sunburns hits you in the feels. It’s an autumn sunset, just as pretty as any other but with a colder—more reflective—breeze running through it. If you love the thought and feel of indie music but miss the buoyancy of soul-infused pop, this song might be what you’re looking for. Papaya Tree’s single rings of nights-out come to an end, idealism hit by realism, and the feeling of what ought to be the best part of one’s life slipping away. Relatable, tragically. But it still has you nodding along and feeling the groove. The contradiction of sound and soul present throughout the track makes it impactful and smart. 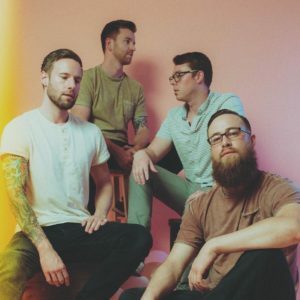 Almost as if finally reclaiming something stolen away, the lead singer of the Australian-based group belts “You waste away my youth,” making the important realization that drives the entire track forward. A simple, declamatory message that even the best, most romantically successful of all of us can agree “I’ve been there.” The song, rebellious in nature, is about making it through that pain. Maybe it gets a little emo but in an endearing way. One that evokes the unnecessary desperation of youth. 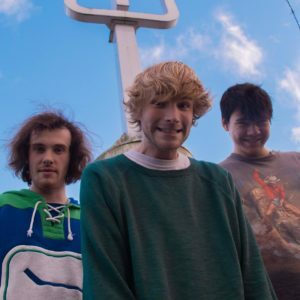 Coming from a band with a distinct, clever personality (their “band interests” on Facebook are listed solely as “canceling rehearsals”), listeners can hear their witty and thoughtful, at some points dark, lyricism. Their imagery on “Youth” stands out, maneuvering through dexterous references. And the music itself, simply put, is really catchy. The various instruments dance together to create a soulful, bouncy jam that keeps moving until it culminates in a rock tribute. Guitar shreds and edge fill in for the fluid hook and give the song a poignant second act. One that says, musically, a breakthrough has been made. Indie funk-folk-rock-undefined music is so enjoyable because it plays around with different sounds, unlimited by a single genre’s expectations. Papaya Tree had the freedom to punctuate its single with a jam sesh that shows off personality, skill, and wit. The relatively new band, having come together officially only two years ago, play with such a connected vision and destination throughout the whole song. Blending together different sounds, genres, and styles, “Youth” doesn’t have a single descriptor. And perhaps that’s its strongest trait. You have to listen to it for yourself to decide what kind of song it is, and what it means to you. Minimalism can get to you when it’s done right. Seeing just a few drawn lines come together and make a whole picture—tell a whole story—is stunning. (Of course, when done wrong you end up with a bunch of raised eyebrows wondering how a couple obscure shapes qualify as art.) On “Take It Up,” Katie Kuffel sings a beautiful, minimalist work of art. The sensual, bluesy tune reignites a genre that’s long overdue for a revitalized comeback. Blending the lyricism of folk with the desperation of blues and throwing in a little of the buoyancy of jazz, Kuffel’s song is a simple gem. The song has its moments of being cheeky, but her words are also thoughtful and descriptive. We hear a fuller range of feelings, and in turn, get a more complete story, even with the figurative language keeping details vague. Listening to this song, I felt like I had a greater sense of who the artist was, and that made me want to listent to rest of the album. We can hear her obsession and the twisted back-and-forth love/hate relationship she’s going through. It’s a nice contrast to the otherwise fluid deceptively romantic accompaniment. The song’s accompaniment is so stripped down that it allows Kuffel’s voice to take over your attention, and she does. From her opening hums, she captivates listeners with the amount of control and passion in her voice. There’s not a single flaw in any part of her worldly register, which stretches from mischievous whispers to powerful belts and everything in between on just this one track. Her fun, trademark vocal harmonies only further demonstrate her vocal abilities. Katie adapts her dynamic voice to suit each of the song’s different moods. Her sultry humming at the song’s introduction invites you into to the lustful, mysterious atmosphere she creates. But the tune only builds from there. She soon arrives at her lower range, drawing you further and further into her story until she eventually reaches the show-stopping belt that makes you wonder why she isn’t in a jazz club somewhere singing along with the greats. What’s so interesting about “Take It Up” is how Kuffel’s shifting voice helps tell the story. For the first several lines of the song, she’s joined by just a bass line and simple percussion, and it doesn’t get much busier than that. Kuffel’s voice provides all the movement and dynamics that keep the song leaning forward. It makes the stripped-down song sound honest. As you hang on to her every word, the narrative that’s being told from vibrato fill up the gaps in the song. “Take It Up” refreshes a genre and manages to be a catchy, hum-along song while still being a song about the stops-and-goes of heartbreak and desire. Some contributions to roots music sound dated or like imitations, but “Take It Up” demonstrates that we can still sing the blues in 2018 and keep it modern.